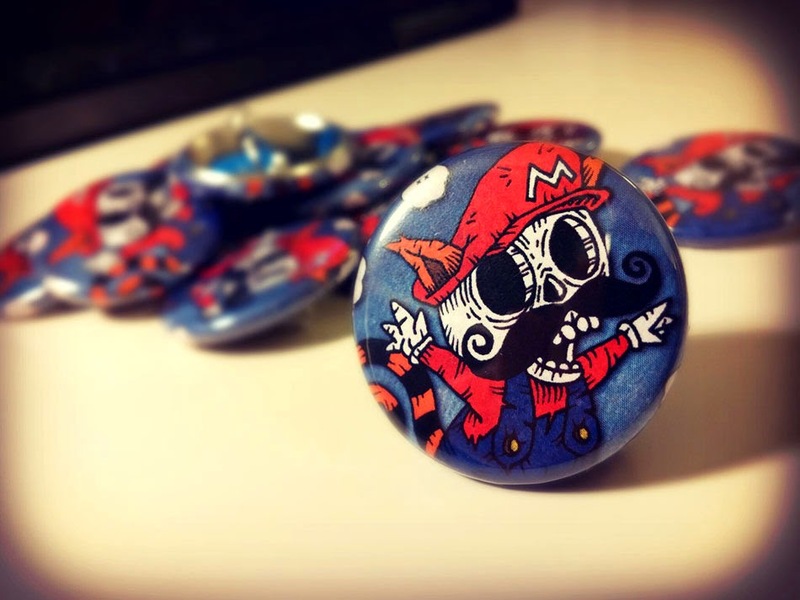 The Gay Gamer: 'Dead Wario' mug + 'Dead Mario' badges by the illustrious OSKUNK! 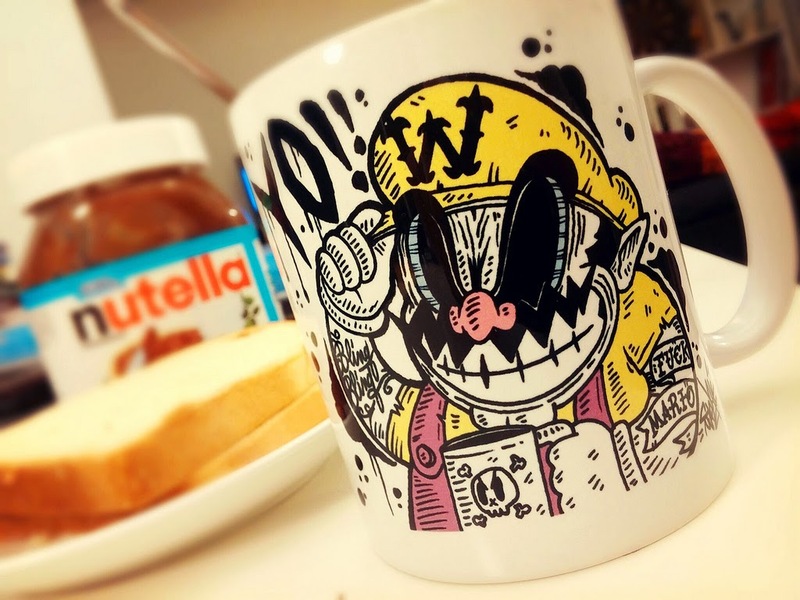 'Dead Wario' mug + 'Dead Mario' badges by the illustrious OSKUNK! Those of you who've been coming here for a bit should be well aware of my love for the artist who calls himself OSKUNK! After all, I've published just a few posts about his creations over the years--a good number of which have focused (and deservedly so) on his custom-painted Dreamcast consoles and controllers. Today's post, though, focuses on some of his Nintendo-centric concoctions, with the first being the completely awesome "Dead Wario" mug showcased in the photo above. Seriously, if I had one of these mugs, I'd never drink out of anything else. Even when I switched from coffee or tea to water or soda or booze. The "Dead Mario" badges shown in the following photo are pretty great, too, but it's kind of hard for them to compete against the "Dead Wario" mugs, isn't it? If you'd like even more OSKUNK! goodness, by the way, be sure to check out the custom-painted Super Smash Bros. GameCube controller that can be spied here. LOVE the tail on that Mario! Ha ha ha Wario's tattoos. That mug is fantastic! Yikes. I think I saw something like that after I had *too much* to drink. Oh, sadly I've never played that game, Franggio! It's coming to Vita soon, though, right? Oh! Of course I missed that. I've missed a lot lately, I'm sure. Anyway, maybe I'll try the Vita version sometime down the road. Yes, I agree, Franggio. And happy gaming to you, too! I'm enjoying games more than ever, so surely something is going right with this "hobby," don't you think? Chiki Chiki Boys isn't terribly tough to beat. Now Alisia Dragoon, that's gonna take some effort. Yes, I saw that, too--about Another Episode. Cool! And Oreshika is out in early March!